There was wonderful news from the legislature this session, as lawmakers approved a bill establishing preeminent universities (again) and support for Florida higher education. According to an article in the Tallahassee Democrat this past weekend, there will be more than 60 million dollars (collectively) pouring in to FSU, FAMU, and TCC when this bill is signed by the Governor. It makes me wonder why our elected officials do not push to make Florida Higher Education the top growth industry in Florida. Enrollment has grown to more than 997,000 children. Nearly one of every 10 Florida children from newborns through high school students has a Florida Prepaid College Plan, and 319,700 students have attended college using prepaid benefits. That's nearly 1 million students needing a place to go to school, and if the State can build the infrastructure to educate them, the local communities certainly have the real estate to house them. Obviously I'm biased being in Tallahassee, but there are many other Florida communities that would benefit greatly from a stronger emphasis on Florida higher education. If we look at Florida higher education as a growth industry, and realize that students are a byproduct of that growth, then we can realize the positive economic impact for every student in each local Florida housing market. As we add students, we need more service industry employees. These employees earn taxable income which also helps support the local economy. 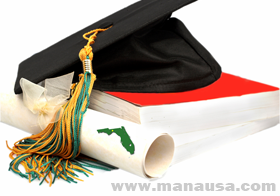 This tough economy has made us all realize the need for economic growth in Florida, why not simply identify Florida higher education a primary industry for the State. Think of all the students around the country that would choose a Florida school if seats were available! And think of all the vacant real estate around the State that could be rapidly consumed by the growth in both student enrollment, as well as the growth in the support sector jobs. I hope the positive news from the recent legislative session grows into strong growth for Florida higher education.